Elizabeth Court is a purpose-built development in the town centre of Louth. 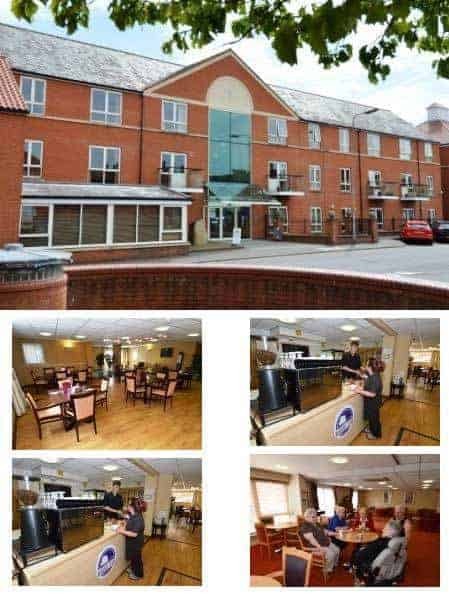 Elizabeth Court is a purpose-built development in the town centre of Louth, providing 38 1-bedroom and two 2-bedroom unfurnished flats with Extra Care services. There is a communal lounge has and a kitchen, a library, a small recreational lounge and an enclosed garden with patio area. There is a cafe on site, open seven days a week. For residents who prefer to cater for themselves, there is a supermarket close by. They organise many social events within the scheme, including coffee mornings, bingo, evening entertainment, sales, coach trips and multi-denomination church services. A scheme manager is on site 8am-4pm Monday to Friday. On-site care services are provided by Libertas (through Lincolnshire County Council) and Emergency 24 hour cover is provided through the Lifeline Alarm system. Please note: Libertas do not control occupancy or prospective residents for these establishments - enquiries need to contact the relevant housing association.